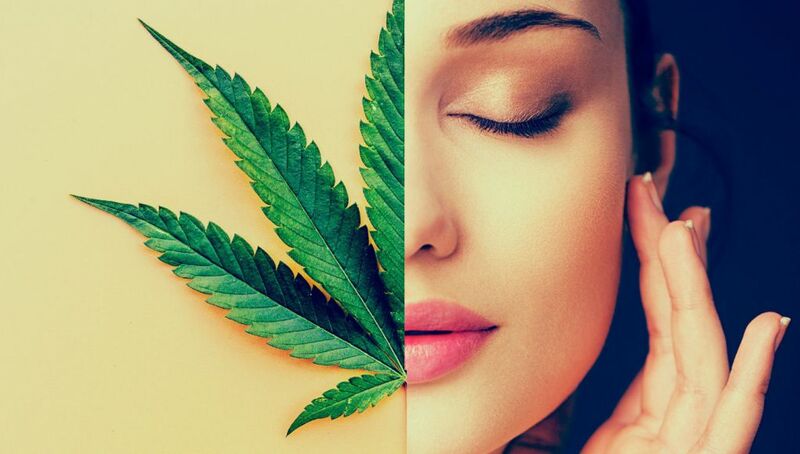 The studies of the effects of THC and CBD continue to shed light on its many beneficial health properties, and one such industry to start dipping its toes into cannabis is beauty, dermatology and skin care. When it comes to skin care, many people do not realize that marijuana is a viable ingredient. The two most popular types of cannabis you will see in skin care is hemp seed oil and CBD. Hemp skin care products have been available commercially for some time now, but it’s typically marketed for the body as cleansers or moisturizers. With strong antioxidant and antibacterial properties, Cannabidiol is the ingredient that is going to make the difference in skin care with important health benefits. Cannabidiol is proven to reduce inflammation of the skin, and inflammation is the number one cause of premature aging from the inside out. While some inflammation is healthy and necessary to protect the body against infection and repair it when injured, chronic inflammation causes more harm than good. Chronically inflamed skin can lead to rosacea, some types of acne and premature aging including fine lines, wrinkles, and psoriasis. Cannabidiol has anti-inflammatory and antimicrobial properties that naturally helps improve irritating skin conditions such as acne, rosacea, eczema, and psoriasis. CBD topicals may also remedy the effects of aging and repair genetic damage at the cellular level because it is jam-packed with even more antioxidants than vitamins E, C and A. Further validating the therapeutic relevance of cannabinoid treatment, cannabis topicals containing both THC and CBD have been proven to decrease melanoma cell survival. While at first glance joining marijuana and skin care may seem like a stretch, cannabinoid infused topicals can actually do the skin and body a world of good. Could cannabidiol someday be touted as the new super beauty ingredient? Will it become a huge breakthrough in skin care harnessed in topical lotions, creams, oils, and tinctures? The powerful, natural healing components of cannabis oil trend toward yes.